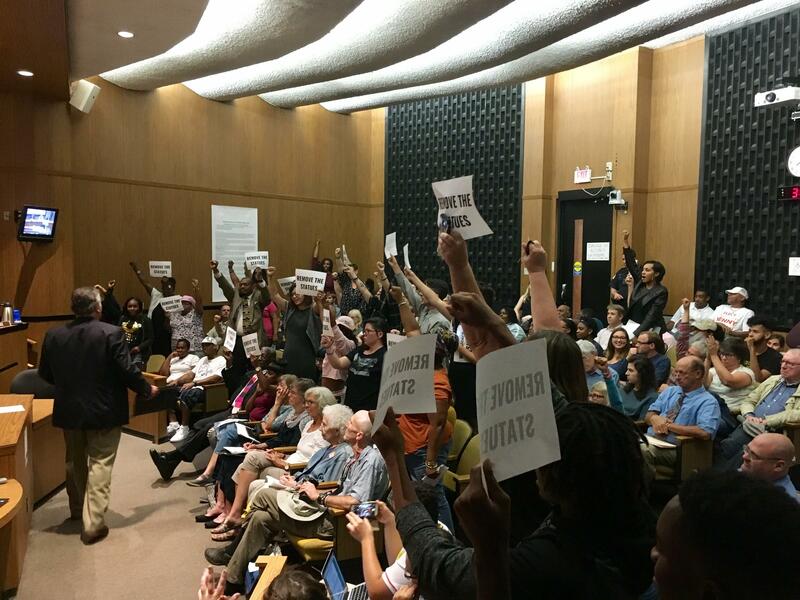 Charlottesville residents called for the resignations of city councilors Mike Signer and Kathy Galvin on Tuesday, saying that the city has not done enough to support its poorest and most vulnerable residents. 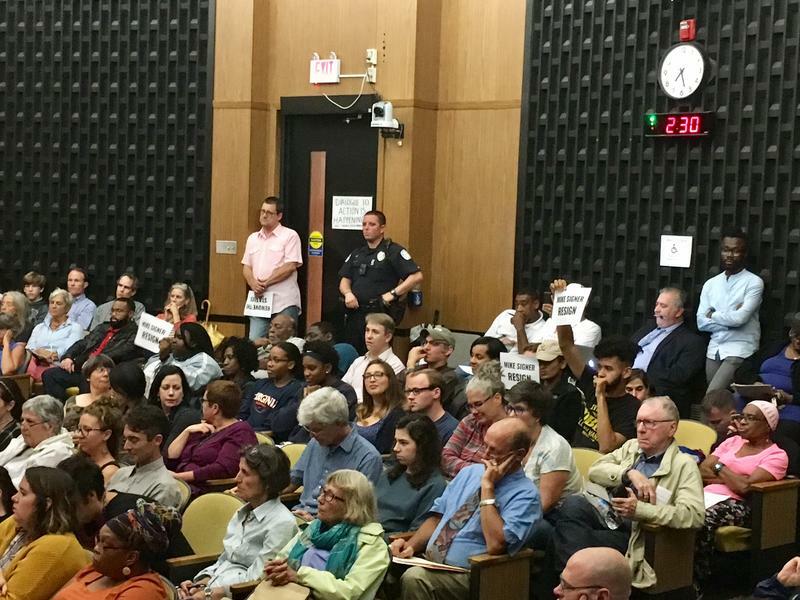 Charlottesville City Council last night moved forward with plans to remove the city’s Stonewall Jackson statue, but not before catching an earful from a crowd, angry, not just about the white supremacist rally on August 12, but about something deeper. WMRA’s Jordy Yager has more. Affordable housing, racial disparities in foster care, a living wage—for two hours on Tuesday night area residents voiced their dissatisfaction with city leadership. Nikuyah Walker, a city council candidate running as an independent in November, said the frustration goes beyond this summer’s events. NIKUYAH WALKER: So when you talk about white privilege and white supremacy, and why Charlottesville is ground zero and why things erupted the way they did, it’s because of the power dynamics that we have in this town that has been under liberal and democratic control. Right? You all have participated in that establishment. More than 150 area residents joined Walker to demand action for the city’s poorest and most disenfranchised. Amid calls for Mayor Mike Signer and Councilor Kathy Galvin to step down, councilors apologized on Tuesday for failing their constituents. Vice-Mayor Wes Bellamy said that for too long white supremacy in Charlottesville has hidden behind polite liberal decorum. WES BELLAMY: I understand exactly where y’all are coming from because a lot of you are saying things that make very clear sense and we refuse to empathize, we refuse to understand, we refuse to even talk about it. Later in the evening, councilors voted to remove the Jackson statue if a pending lawsuit challenging the removal of a Robert E. Lee statue is decided in the city’s favor.